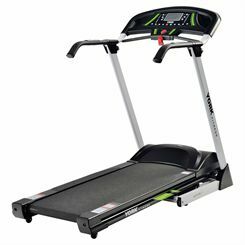 York Fitness Treadmills offered by Sweatband.com feature different characteristics to satisfy every user's needs. Their best quality and innovative design make every exercise session not only effective, but also safe and comfortable. Every treadmill by York Fitness available at Sweatband.com is folding (allowing the user to save storage space) and features pulse grip sensors integrated in the handlebars.